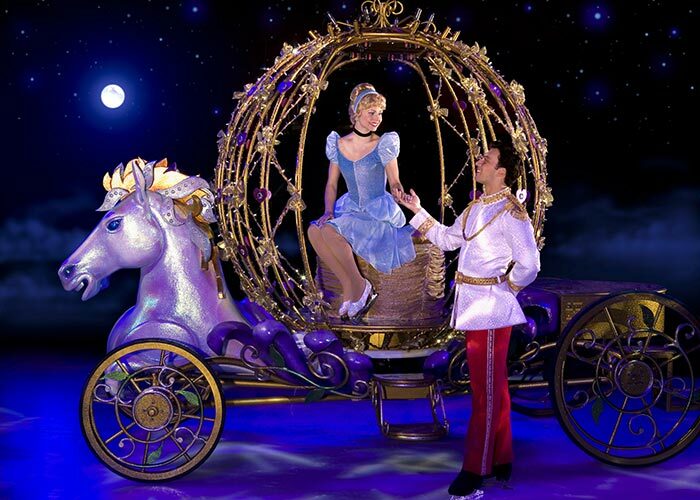 Stand a chance to win a set of 4 tickets (2 adults, 2 children OR 1 adult, 3 children) to Disney on Ice taking place on Friday, 13 July 2018 at Grandwest arena in Cape Town at 18:00. How to enter: SMS the keyword "DISNEY" followed by your name, surname and city to 33728 within the Competition Period. SMS' cost R1.50, no free or bundled SMS' apply. 1.1. The Expresso Disney on ICE Competition (Competition) will be run by Cardova Trading (Pty) Ltd in association with Showtime. (Organisers/we/us/our). Entries for the Competition will open at 6h00 on Wednesday, 11 July 2018 and will close at 23h59 on Wednesday, 11 July 2018 (Competition Period). 4.1. SMS the keyword "DISNEY" followed by your name, surname and city to 33728 within the Competition Period. 4.5. You are required to attend to the cost for your entry, including standard internet costs. 5.1. We will randomly draw 2 (two) winners (Winners) by means of an automated system within 48 (forty-eight) hours from the closing date of the Competition. 5.3. Each Winner will be required to provide a copy of his/her Identification Document as required in terms of the Consumer Protection Act, 68 of 2008. If the Winner fails to provide a copy of his/her Identification Document within 3 (three) days from being requested to do so, the Winner will forfeit the Prize and shall have no claim against us. 5.4. The Winners may also be announced live on Expresso once the Winners are confirmed. 6.1. The 2 (two) winners will each receive a set of double adult tickets (two tickets) and double children tickets (two tickets) to the Disney on Ice taking place on Friday, 13 July 2018 at Grandwest arena in Cape Town at 18:00. 6.1.1. The winner can choose to change 1 (one) adult ticket for an additional 1 (one) children ticket, however 1 (one) adult must accompany the children to the performance. 6.2. The Prize can only be redeemed at the event specified in the terms and conditions, failing to do so the winner forfeits the prize and the Winner shall have no claim against us. 6.3. The Prize excludes all items not mentioned in clause 6.1. 6.4. We will contact each Winner to receive all necessary information to send the Prize and the Prize shall be sent to the Winner’s within 72hours from confirmation of the Winner. 6.5. The Prize, or any part thereof, may not be exchanged for cash any other item. Prizes are not transferable. We reserve the right to substitute the Prize, or part thereof, with any other prize of a similar commercial value. 7.2. In case of a dispute regarding the identity of a Winners herein, the owner of the SIM card used to enter the Competition will be deemed the Winner, even though the handset may have been used by another individual to enter the Competition. 7.6. We will need to process your personal information to validate your entry as well as to contact you for marketing purposes and, if you are a Winner, to make the Prize available to you. By entering this Competition, you specifically and expressly consent to us processing your personal information for these purposes. 7.8. Once the Winners accept the Prize, such Winners accept such Prizes at their own risk.